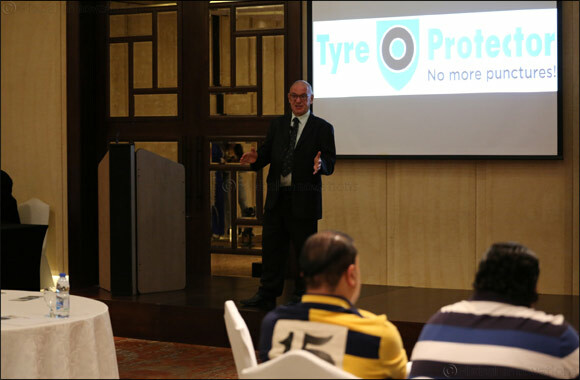 'The product we have in the form of Tyre Protector is a result of painstaking development in laboratories and tests done in the field,' said Paul Butterworth. Tyre Protector was first made available to public in 2003, and has since then gone through iterations and mock tests. Underinflation, or using the tyre with less-than-optimal air pressure, is central to tyre blowouts and and excess tyre wear. It is sometimes caused by gradual loss of air through microscopic pores in rubber, which further generates excess heat and causes the tyre to burst. Tyre Protector's advanced formulation eliminates that air loss and provides complete puncture protection, resulting in guaranteed protection both for the person behind the wheels and for other cars and pedestrians in close vicinity. 'Using the gel sealant is highly effectively and economical way to ensure that nothing comes in between you and your destination on the road,' added Butterworth.